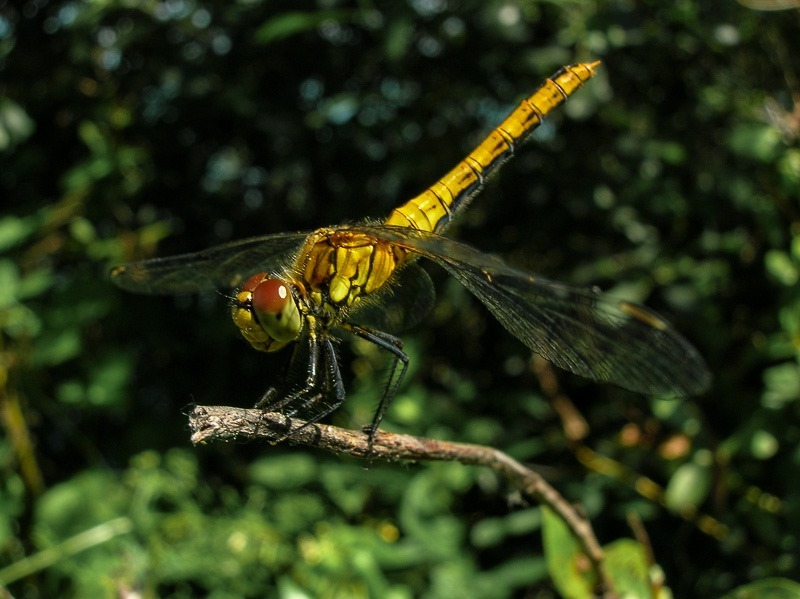 My first and only shot of a dragonfly was taken with a point and shoot. 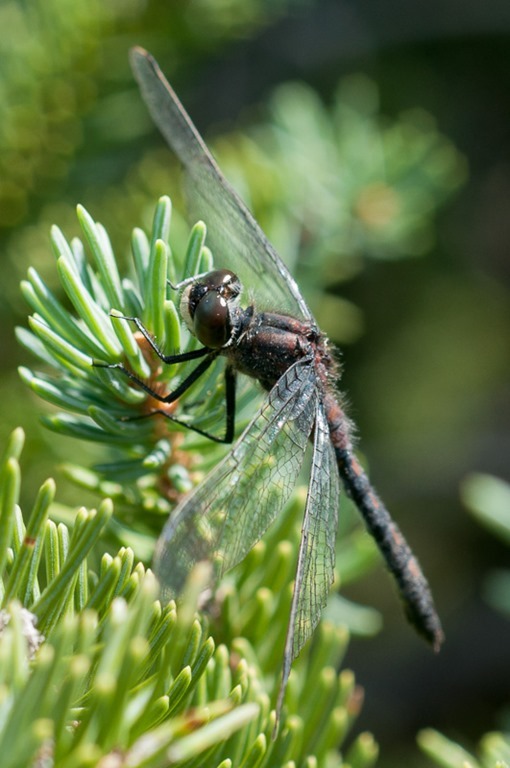 I have tried many times to get another shot at any dragonfly, but the camera was just not up to it. While it was excellent for macro or close up work, the insects didn’t cooperate at that close range. Years later I was shooting with a DSLR, I have blogged about that many times, and things started to look better in the close up department. That is where the dragons started to fascinate me. 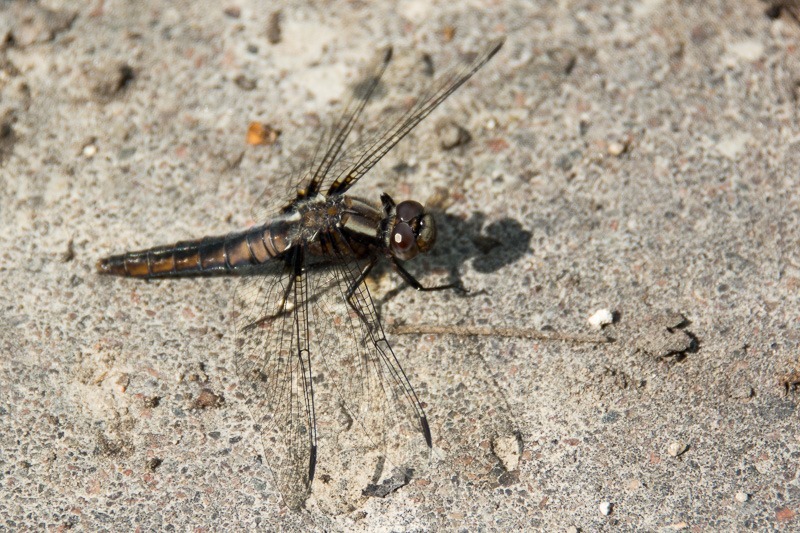 Here in Canada, those dragonflies are way bigger than anything I have seen in Europe. 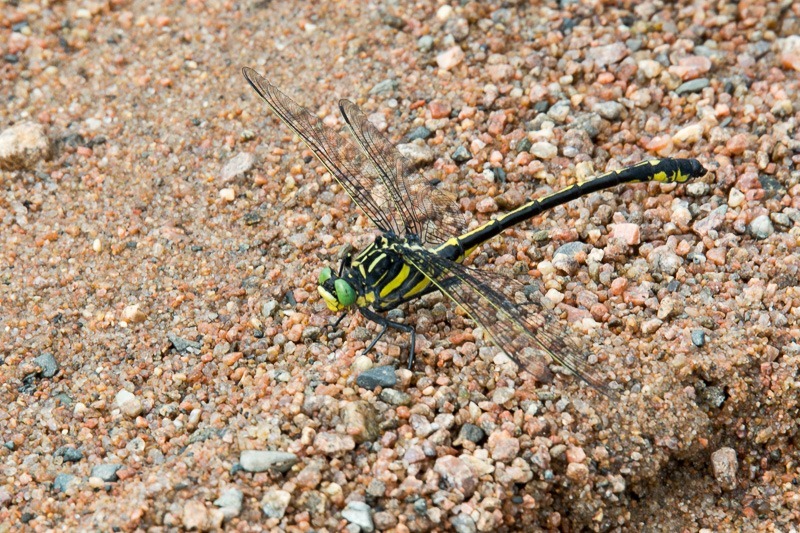 The lead dragonfly was at most 5cm wingtip to wingtip. Over here they seem to measure at least 12cm across. Little by little I got better in getting the dragons to pose for me, checking out their behaviour. Usually they come back to a specific spot if you make them fly. If not, then I really ticked them off and I’ll have to find a “new” one to shoot. Having a longer lens also comes in handy, you don’t need to get as close to them to get a nice detailed shot. The above picture was even taken with a 600mm lens. 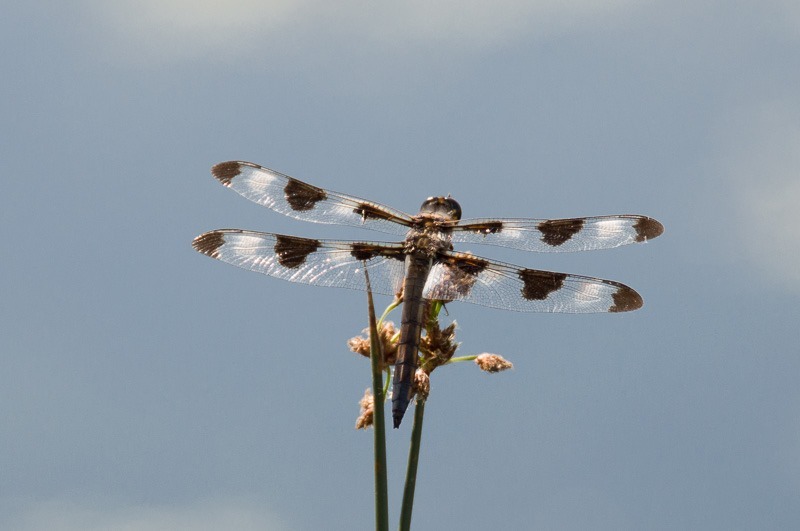 This dragonfly was coming back to the same spot, over and over again, hovering in place. Too good to pass up, a dragonfly in flight . Insects look scary from up close. Possibly because they remind us of all the scary movies with mechanical torture devices and robots coming after us humans. 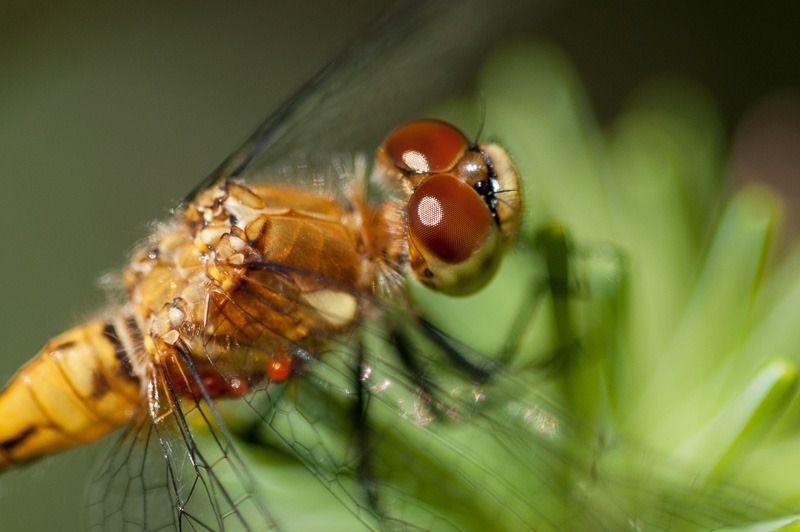 Longer lenses can do some good to get “closer” to the insects, but only a real macro lens will reveal those had to see details. What is interesting me the most is the mechanical way those animals operate. Of course the skeleton is on the outside of them, making them hard and crunchy (for the birds) but extremely invulnerable to other predators. 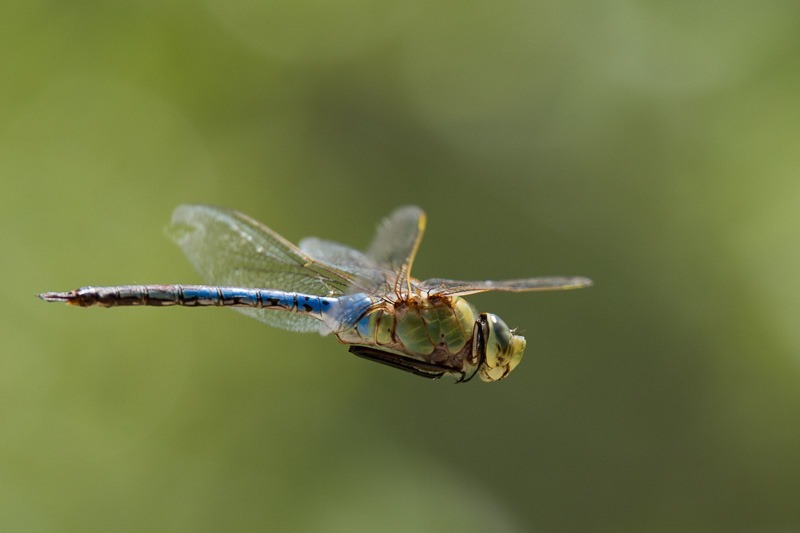 In their realm, the dragonflies are at the top of the food chain, eating bugs, mosquitoes and… other dragonflies. Last weekend I was at the Rainbow Falls in the Whiteshell Provincial Park. 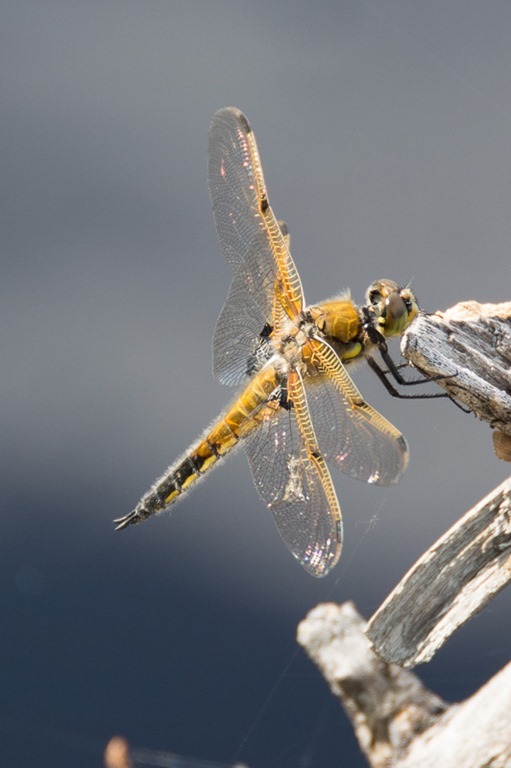 while the river was very low and the woods very dry, the dragonflies were out in force. Good for me, because with all the less mosquitoes around it was pretty nice out there. Mosquitoes just don’t stand a chance against those flying fortresses. And the dragons don’t stand a chance against my camera. Justice for all. However, they were actively hunting and no dragon wanted to sit still enough and long enough for me to be able to point my macro lens at them. Oh well, there will be more chances to shoot them in the near future.